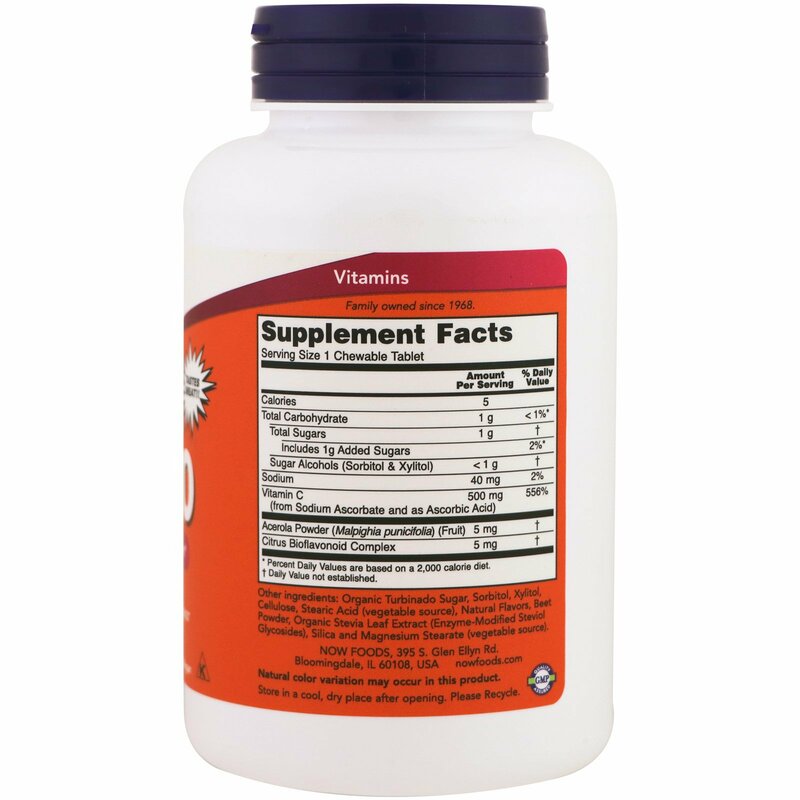 Vitamin C is a water soluble nutrient well known for its vital role in immune system function. It is also a potent antioxidant the can protect the body's cells and molecules from damage by free radicals and reactive oxygen molecules generated during normal metabolism and typical environmental exposures. 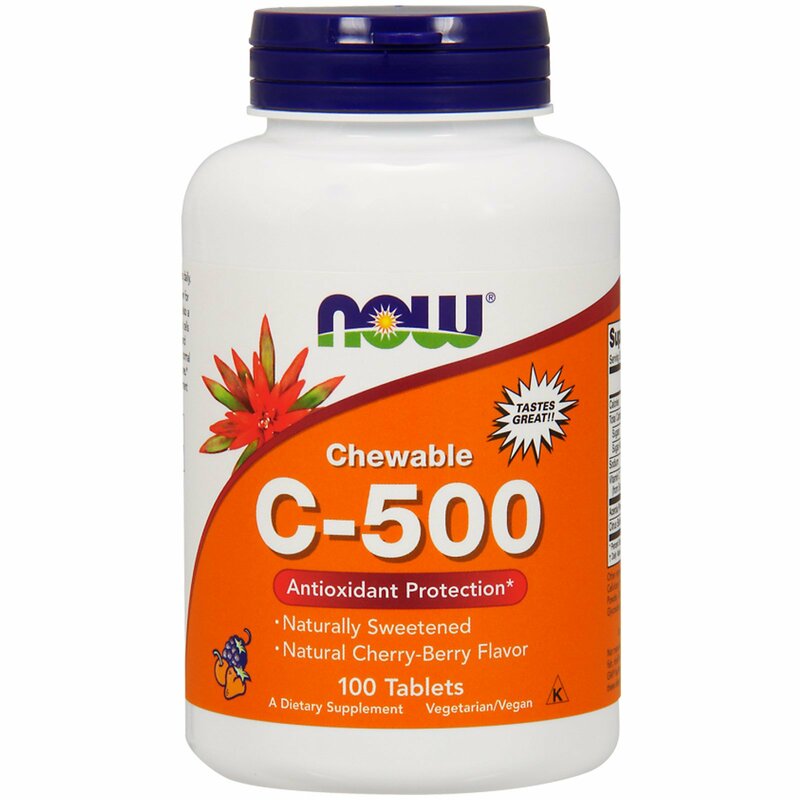 This great tasting chewable Vitamin C supplement is naturally sweetened and naturally flavored. 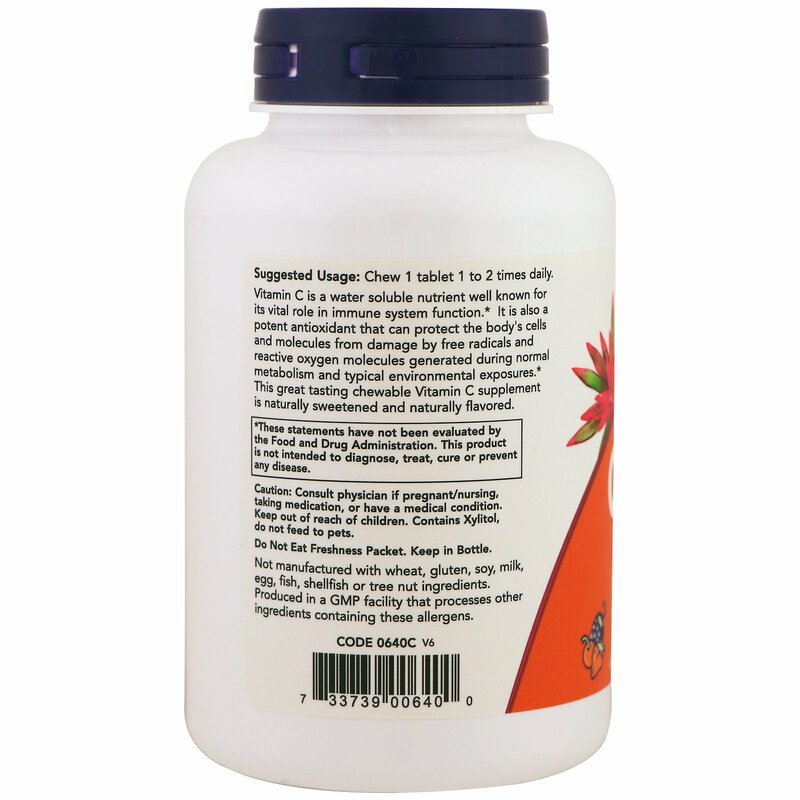 Chew 1 tablet 1 to 2 times daily. Organic turbinado sugar, sorbitol, xylitol, cellulose, stearic acid (vegetable source), natural flavors, beet powder, organic stevia leaf extract (enzyme-modified steviol glycosides) silica and magnesium stearate (vegetable source). Caution: Consult physician if pregnant/nursing, taking medication, or have a medical condition. Keep out of reach of children. Contains xylitol do not feed to pets.